U.S. allies retaliate with tariffs on the U.S. U.S. trading partners in the European Union (EU), Canada, and Mexico have decided to fight back with tariff measures of their own. The EU will target $3.4 billion of U.S. products, while Canada and Mexico will aim for $12.8 billion and $3.0 billion, respectively. 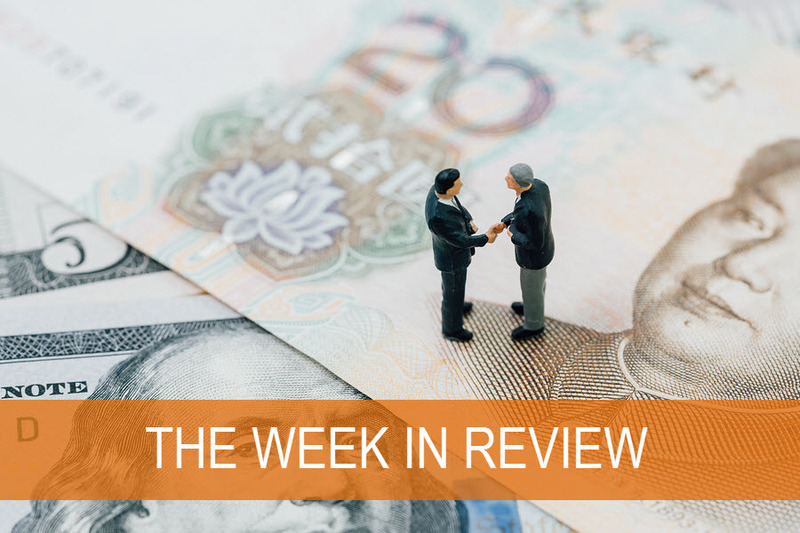 Trade tensions continued late last week, as President Donald Trump reiterated the possibility of exiting the NAFTA agreement and refused to endorse the joint statement from the G-7 summit. In other trade activity, the U.S. completed a deal with China’s ZTE Corporation which allows the company to buy components from the U.S. in exchange for paying a $1 billion penalty. ZTE must also add a U.S. compliance team for the next 10 years. Hawkish ECB comments boost German Bund yields. European Central Bank (ECB) officials stated that the central bank could start the process of normalizing monetary policy by the end of 2018. ECB head economist Peter Praet noted that the ECB is confident that Europe inflation will soon move up towards the central bank’s 2% target. Following the ECB official comments, German Bund yields moved up, pushing the 10-year yield about 10 basis points higher for the day. 9 The sell-off spread to government debt in Europe and we believe helped drive U.S. yields somewhat higher as well. Also in Europe, Italy government bond yields moved up last week 10 largely due we believe to concerns on the new government’s fiscal plans as well as the possibility of the end of the ECB’s asset purchase program. UK submits temporary backstop Brexit proposal. In order to prevent a hard border between Northern Ireland and the UK, Prime Minister Theresa May proposed that the UK remain in the EU customs union after the transition period until a permanent solution is found. The UK will leave the EU in March 2019, but the proposal would set up a temporary customs arrangement through 2021. Rate hike widely expected in the June Fed meeting. The June Federal Reserve meeting concludes this Wednesday, featuring both a press conference by Fed Chair Jay Powell and updated Fed interest rate forecasts. Aside from an expected rate hike in June, we believe markets expect roughly one more rate hike throughout 2018. Also, headline and core Consumer Price Index (CPI) data will be released on Tuesday, with expectations for modest increases over prior levels. ECB asset purchase plans in the spotlight this week. With no expectation for an immediate change in policy at the ECB meeting on Thursday, we believe investors will listen for clues from ECB President Mario Draghi regarding moves toward the conclusion of the asset purchase program. Our findings are that the ECB’s asset purchase program of €30 billion per month is expected to continue through at least September. Headline and core Europe inflation figures will also be released this week and are expected to remain in-line with the prior readings. Finally, the Bank of Japan will meet on Friday, with minimal expectation for a change in policy. President Trump to meet North Korea’s Kim Jong-un. President Trump travels to Singapore on Tuesday looking to make progress towards an agreement on the denuclearization of North Korea. The U.S. will also work on completing the final list of items for China tariffs that will go into effect over the next few weeks. 1. Bloomberg, MSCI U.S. Equities IMI Index and MSCI ex-U.S. Equities IMI Index returns 04Jun2018 – 08Jun2018. 2. Bloomberg, MSCI U.S. Equities IMI Index returns 04Jun2018 – 08Jun2018. 3. Bloomberg, MSCI ex-U.S. Equities IMI Index returns 04Jun2018 – 08Jun2018. 4. Bloomberg, MSCI Emerging Market Equities Index returns 08Jun2018. 5. Bloomberg, MSCI Emerging Market Equities Index returns 04Jun2018 – 08Jun2018. 6.Bloomberg, MSCI World Index returns 04Jun2018 – 08Jun2018. 7. Bloomberg, MSCI U.S. Equities IMI Index returns 04Jun2018 – 08Jun2018. 8. Bloomberg, MSCI Emerging Market Equities Index returns 04Jun2018 – 08Jun2018. 9. Bloomberg, Generic German Government Bond Rate, 10-Year Maturity, 07Jun2018. Basis Point (BPS) refers to a common unit of measure for interest rates and other percentages in finance. One basis point is equal to 1/100th of 1%, or 0.01%, or 0.0001, and is used to denote the percentage change in a financial instrument. 10. Bloomberg, Generic Italian Government Bond Rate, 10-Year Maturity, 04Jun2018 – 08Jun2018.